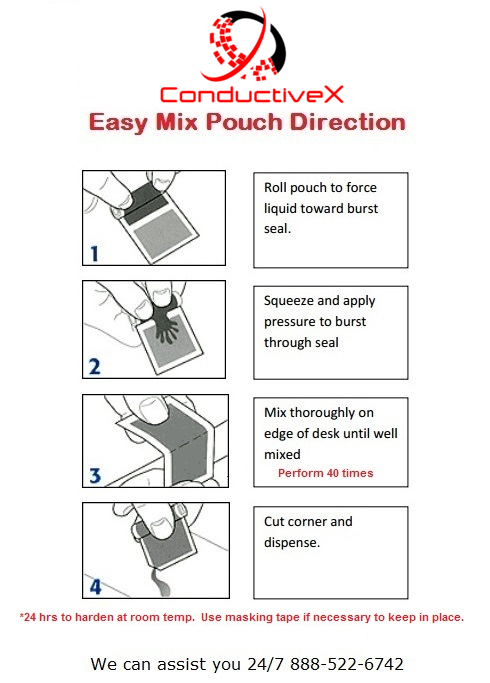 Electro-Bond 07 is an epoxy adhesive and coating formulation based on pure silver. This versatile silver formulation offers the maximum continuity of conductivity with an electrical resistivity value of less than 1x10-4 ohm·cm. 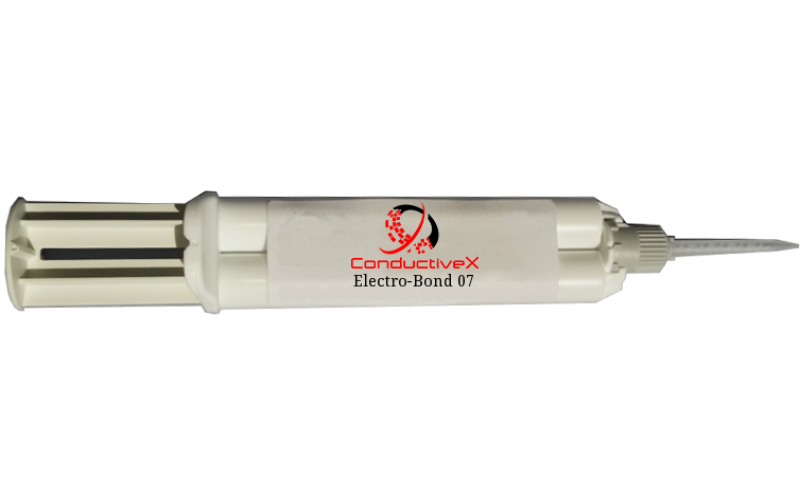 Electro-Bond 07 is also characterized by a wide operating temperature range from –50 to +170°C. 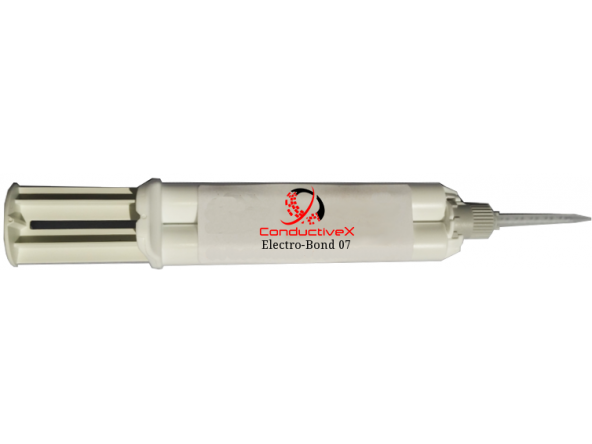 Electro-Bond 07 is recommended for electronic bonding and sealing applications that require both fine electrical and mechanical properties. EMI & RFI shielding, in the assembly or repair of printed circuit boards, waveguides, electronic modules, flat cable, high frequency shields, connections, and circuitry.